Protecting our clients' money and data is our top priority, so we combine the security of both a bank account and Mastercard. 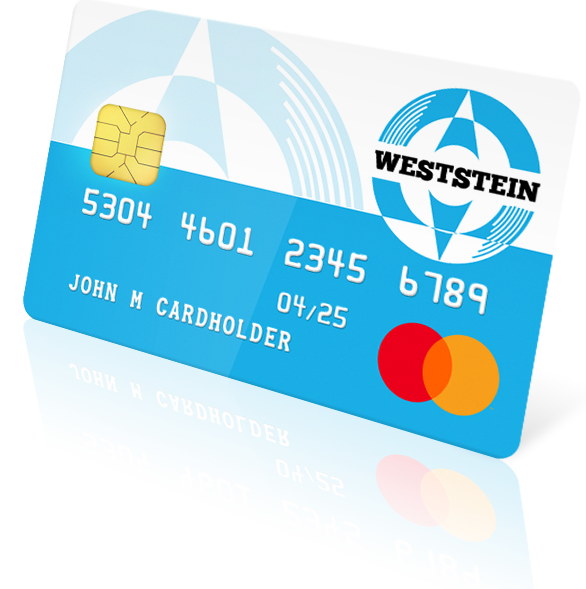 The WestStein Prepaid Mastercard account is issued by the UK based financial institution Prepaid Financial Services. The clients' money is kept separate from the company means, and all services are 100% secure and fully registered with the UK Financial Conduct Authority. The card is not assigned to your regular bank account and is protected by a PIN code and Mastercard 3D Secure system when shopping both online and in stores.